Derrick Burke - Mowbray & Son, Inc.
After graduating from Minot High School, Derrick Burke attended Bismarck State College majoring in HVAC. 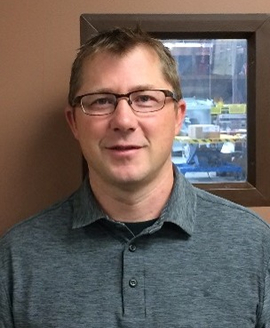 Upon completion of the program at BSC, Derrick was hired on July 5, 1996 as an Apprentice HVAC Service Technician for M & S Sheet Metal, Inc. At that time, Derrick became a member of the Sheet Metal Union Local #10. He is currently an HVAC Foreman Service Technician/Estimator. Derrick specializes in troubleshooting, repair, and start-up of heat pumps, chillers, ERV’s, and boilers. In addition, Derek has taken over the reins to train and mentor HVAC apprentices for the company.